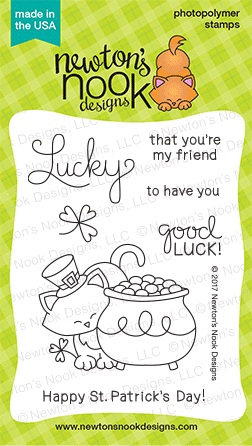 Hi everyone, I'm here today with a card I'm entering in the Newton's Nook Designs Inky Paws challenge. 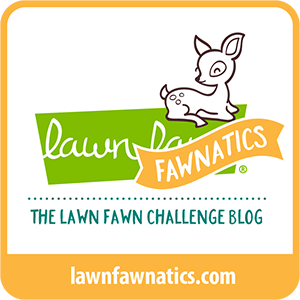 We've got a color challenge (White, Yellow, Light Pink, Mint). I discovered after going through my inks, I had no light mint color, so I just got as close as I could. That's the beauty of challenges, we use what we have and put our own spin on it. 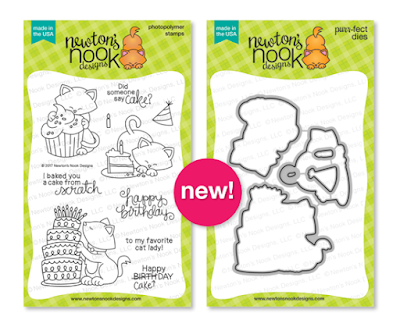 I hope you'll join me and have a little fun with your Newton's Nook Designs stamping products! For this card I used a gingham background stamp I had and inked up a white piece of cardstock that I layered on yellow and then on my A2 base. The little notepaper die is by MFT, I inked that up with some light blue so the heart would stand out. 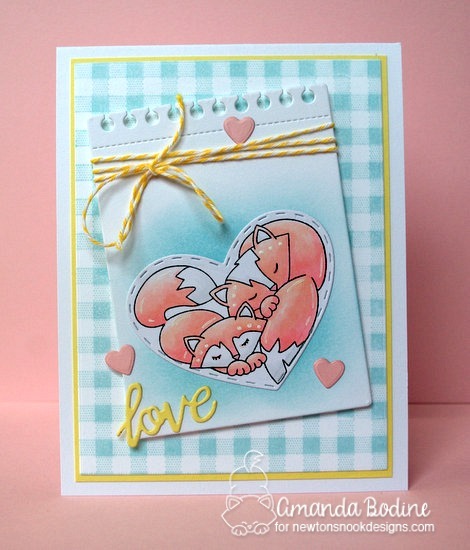 I colored up the fox in the Woodland Duos Set in pink copics and cut them out with the Darling Hearts Die Set. The little love sentiment and tiny hearts came from this die set as well. Lastly I tied a bit of twine around the top. This was a super simple card to put together and I just love how it turned out! Hello everyone, welcome to Day 3 of the Newton's Nook Designs February release blog hop! Today we're featuring a stamp/die set called, "Newton Loves Cake". Oh don't we all?! I'm in love with all the images in this set, but that cupcake really spoke to me. I had fun coloring it more than once, so I thought it'd be fun to line up all these Cupcake Newton's! For my base, I distress inked in cracked pistachio half way up, then flicked with plain water on my paintbrush to take some of the color away. On the top half, I added a little colored ink to my brush and lightly splattered. I thought it made for a fun background! After copic coloring my Newton images, I die cut them out and added some fun silver glitter to the cupcake wrapper. A few pink enamel dots and I was happy with the results. Thanks for stopping, I hop you've enjoyed this release week hop! Keep scrolling to find out how to win this stamp set for yourself! 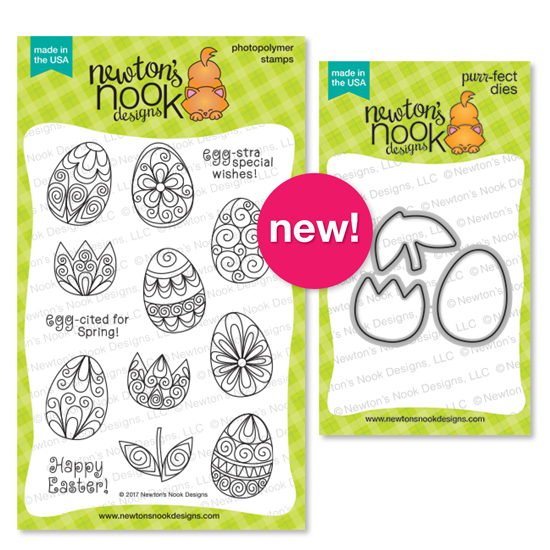 Hello and welcome to Day 2 of the Newton's Nook Designs February release! Today we're featuring this beautiful stamp and die set called "Beautiful Spring". I've also used the brand new die set, "LandBorders". I'm so happy to have these fun grass and hill dies to use in all my scenes! I'm pretty crazy about the tulips I've used on this card. I started by heat embossing them all in gold. I die cut them out using the coordinating dies and then colored them with zig markers. I love how the popped off the kraft background. I also added a white gel pen border inside the stitched border of my rectangle base. Thanks for stopping, make sure you keep scrolling to learn how to win this stamp set, "Beautiful Spring" for yourself! 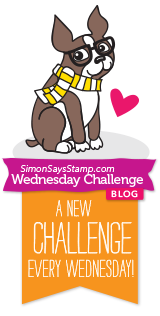 Simon Says Stamp Monday Challenge - Fav Tool ~ Heat embossing gun! Hi everyone! 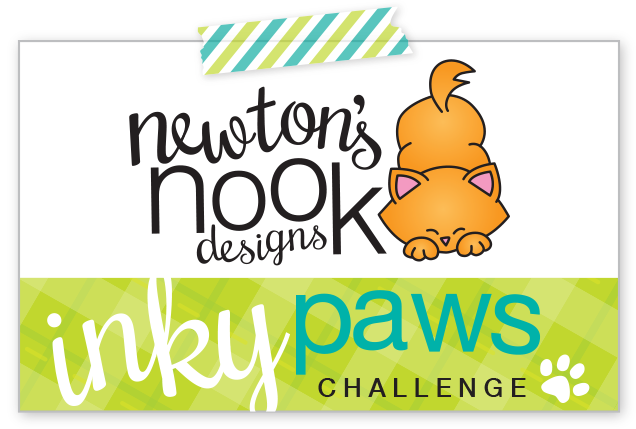 Today we kick off the February release over at Newton's Nook Designs, I'm so excited! I had just purchased these flat gold sequins and when I saw this St. Paddy's Day themed Newton set named "Newton's Pot of Gold", I just knew I had to make a shaker card! Inside the shaker, I colored up the main Newton image and surrounded him with the tiny shamrocks that I stamped randomly. I do not recall where I got that patterned paper on the base layer, it was in my stash and I thought it added some extra fun! The square die cuts are by MFT. Thanks for stopping, keep scrolling to learn how you could win this set! Would you like to win the “Newton’s Pot of Gold” Stamp Set? I support the following challenges with my project! 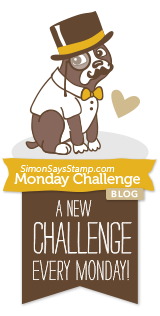 Simon Says Stamp Monday Challenge - My favorite tool is my Big Shot! Hello everyone! Happy Sunday! AJ here with a project I've made using some great product from the Kat Scrappiness online store! I started with an A2 sized card base. I used 6x6 paper pack Carta Bella, It's a Girl, which I thought gave it a sweet old fashioned look. I then cut out Kat Scrappiness Stitched Fancy Scallops in the green and layered the Kat Scrappiness Stitched Ovals in poppy and white cardstock to use as my base for the image. Brand new in the store is this super cute stamp set by Newton's Nook Designs called, Newton's Happy Mail which I copic colored. Lastly, I went with this pretty sentiment die cut by Kat Scrappiness, With Love and added a few enamel hearts. Thank you so much for visiting and remember to check out the fabulous crafting supplies over at Kat Scrappiness Online Store! Hi all, I'm back with one more card from the Newton's Nook Designs January release. It was hard choosing which set to feature today, there were so many great products that came out this past month. However, this little pug stole my heart. In fact, after doing a little poking around the internet, I discovered that pugs come in various colors, even all black! So I stamped this guy out a bunch of times and just had fun coloring in all shades of greys and blacks. But for my card today, I decided to go with a really light colored guy. I put this fun party hat on his head and popped him up, off center on some MFT banner dies. The patterned paper is by Doodlebug and I finished him off with some matching gems and twine. Thanks for stopping by today, I hope you like my project! 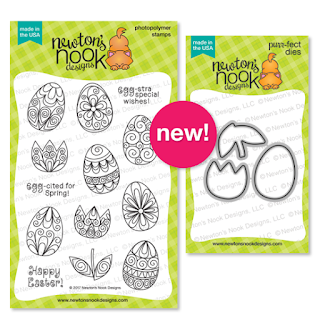 Visit Newton's Nook Designs shop to see all the new January releases! - Click Here!